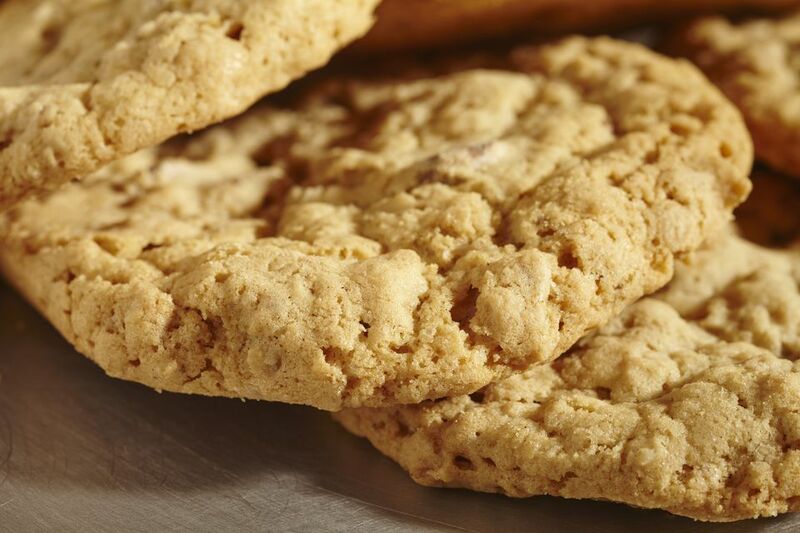 These sour cream oatmeal cookies are soft and chewy. The cookies are filled with dates or raisins. If you like nuts in your cookies, add about 1/2 cup of chopped pecans or walnuts. Sift together the flour, baking soda, and salt. In a medium mixing bowl, cream butter and sugars; beat in egg and vanilla. Coat the dates with 1/4 cup of the sifted dry ingredients. Stir remaining sifted ingredients into the first mixture with the sour cream. Stir in date mixture and oats. Drop by tablespoonfuls a few inches apart onto lightly greased baking sheets. Bake at 375 F for 12 to 15 minutes. Let the cookies cool on the pans for about 30 seconds; remove them to racks with a spatula to cool completely. Store in a tightly covered container separated by sheets of plastic wrap or waxed paper. Makes about 4 1/2 to 5 dozen.